At CPR Educators, we are proud offer CPR certification, first aid and AED instruction to people in and around Baltimore. Our instructors are not only experienced and certified in teaching, they have an extensive background in providing emergency services professionally. Many of our instructors are nurses, EMTs, firefighters, and physicians, so they can teach these skills in a practical manner that allows students to apply it to a real-life emergency situation. 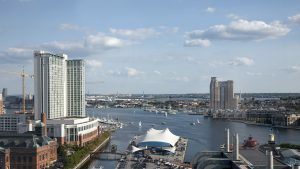 Why Take CPR Classes in Baltimore? The best reason to sign up for classes is simple: CPR certification and first aid can save lives. While most of us will fortunately never need these skills beyond the most basic injury and illness care, if the worst case scenario does happen – cardiac arrest, car accident, drowning – having the skills to step in and provide care can literally save a life between the minutes of calling for help and when help arrives. CPR Educators don’t just teach the information and pass out an assessment, we also empower our students to confidently and quickly take action during an emergency, employing the correct steps that will lead to a positive outcome for the victim. We are proud to be an American Heart Association Authorized Training Center in Baltimore. As part of our dedication to teaching life-saving skills, we offer several emergency training courses including AED training, CPR training, and pediatric CPR classes. This course is designed with child care workers and daycare facility requirements in mind, and this class is also open to parents, babysitters, and anyone who cares for children personally or professionally. This course is designed to instruct healthcare workers, including CNAs, home health aides, firefighters, and EMTs, in applying CPR and cardiovascular life support both in one-man and two-man teams. Students also learn how to utilize these skills in both a hospital and pre-hospital setting. The material in this course is the same as the Basic Life Support class. However, the information is taught online for students who desire a self-paced study experience, while the practical, hands-on experience and the certification exam are administered at our Baltimore training facility. This class teaches students how to keep themselves and others safe from bloodborne pathogens in accordance with OSHA Standard 1910.1030. Students learn how to safely and effectively operate a fire extinguisher and eliminate small fires in the workplace. This course meets requirements of OSHA 29 CFR 1910.157. We hold several first aid and CPR classes each month at our Baltimore training facility so registering for a class that meets your scheduling needs is convenient and simple. We cap enrollment at low numbers to ensure that each student is given personalized, practical training that ensures ability, confidence, and real-world application. We are also happy to provide on-site CPR classes to businesses and organizations who want to provide a convenient way for their team to meet OSHA requirements and maintain their first aid and CPR certifications. Our instructors bring the same practical, comprehensive information and hands-on training we provide in our center right to your office or place of business for an enjoyable, fun experience for your employees. We can also tailor the class to work with your exact industry, especially daycare centers and dental offices. We are here to help you learn life-saving skills! Reach out to us today at (919) 639-4848, send us an email, or fill out our contact form!